Obscured by the drama of America’s presidential campaign, one major foreign policy issue—the future direction of the U.S. approach to Iran—is at a crossroads. President Obama stood before world leaders at the UN General Assembly in September 2013 and stated, “If we can resolve the issue of Iran’s nuclear program, that can serve as a major step down a long road towards a different relationship, one based on mutual interests and mutual respect.” Yet in the aftermath of the July 2015 nuclear accord, statements by Iran’s Supreme Leader Ali Khamenei and Iranian actions have provided little indication that U.S.-Iran relations are moving in a direction more respectful of American interests. “It is now clear,” writes UAE Ambassador to the United States Yousef al-Otaiba, “that one year since the framework for the deal was agreed upon, Iran sees it as an opportunity to increase hostilities in the region.” Internally, executions of prisoners is at a twenty-year high. Still, the occasion of national elections in February for Iran’s parliament and Assembly of Experts—like the June 2013 election of President Hassan Rouhani—generated widespread commentary by policy experts in the United States that a process of meaningful change was at hand, as “reform” candidates outpolled their hard-line opponents in Tehran. Factionalism and jockeying for influence and position occur quite naturally in leadership ranks of democracies and dictatorships alike, including Iran. The key question Under Secretary Shannon could not answer definitively is whether regime politics would ever allow for real change in Iran’s “strategic” behavior. His remarks, however, reflected a long-standing belief by policymakers and advisors that the clerical circle in power since the 1979 revolution is capable of empowering political stewards who are inclined to reform Iran and fulfill President Obama’s hopeful vision, reciprocating his administration’s solicitude and forbearance toward Tehran. U.S. policymakers have experienced cycles of hope and disappointment with Tehran. After being singed by scandal in the mid-1980s, when President Reagan’s arms-for-hostages dealings were exposed, U.S. officials anticipated positive change in Iran when Akbar Hashemi Rafsanjani gained the presidency in 1990 with the promise of rebuilding an economy weakened after eight years of war with Iraq. However, terror attacks in Germany and Argentina ensued, along with assassinations of exiled regime opponents, tied directly to Rafsanjani and Khamenei. The June 25, 1996, bombing of Khobar Towers in Saudi Arabia killed nineteen U.S. airmen, as the Clinton administration maintained a “dual containment” approach toward both Iran and Iraq, backed by mounting sanctions. Not even the fact that Iran’s nuclear program advanced dramatically in secret under President Khatami would shake Washington’s durable conviction that progressive elements within the Tehran ruling elite might one day ascend to power, as keen to see Iran adhere to international norms and uphold universal rights as are Western governments and citizens. Listening to most Iran analysts at policy gatherings in Washington, two themes will be apparent. First, any mention of Iran’s status as the leading state sponsor of terrorism, its domestic human rights abuses or the destructive activities of the Islamic Revolutionary Guard Corps (IRGC), including its elite Quds Force, will be at once acknowledged and dismissed with a figurative hand-wave. This is old news; Iran has for years been sanctioned over it. Since there is no new story here, only unenlightened warmongers would harp on these aspects of Iranian affairs which, while condemnable, only stifle consideration of the possibilities for U.S. policy with Iran looking forward. Second, the topic that animates the policy cognoscenti, and comports with the aspirations of the Obama White House, is the dynamic ebb-and-flow of political factions competing within Iranian leadership circles: “principlists” versus “reformers,” “conservatives” versus “moderates,” the hard-line Khamenei group versus the Rafsanjani group that seeks to integrate Iran more with the outside world. At a time when America’s own presidential election process has featured candidates channeling popular discontent toward the country’s political and economic elites, media coverage of Iran’s most recent elections—encouraged by the administration’s own rhetoric—has amplified the theme of grassroots rebellion at the polls. Given the lack of details reported about Iran’s managed electoral process, the average American would be forgiven for assuming that 79 million Iranian citizens were freely exercising popular sovereignty. Iran’s wrongful behavior, other than actions seen as possible violations of the Joint Comprehensive Plan of Action (JCPOA), is reported, but not debated, as the policy community seems devoid of confidence that it could constructively influence the regime organs overseeing terrorism, paramilitary operations, judicial abuse, monopoly control of economic and financial assets, restraints on journalism, communications monitoring and censorship, arms trafficking to violent nonstate actors, propaganda and intelligence deception operations. This drumbeat of undesirable Iranian actions, now well into its fourth decade, has continued unabated despite the nuclear deal. Yet much more attention is paid to President Rouhani and Foreign Minister Mohammad Javad Zarif, the lead figures in Tehran’s diplomatic overture to the West, because they are perceived as agents of hoped-for change that might, at long last, end the negative drumbeat. Is the administration’s hope justified or misplaced? Granted that factions rise and fall inside Iran’s clerical elite, the implications of these dynamics, like so much of Iran’s post-1979 history, offer reasonable grounds for debate. Debate is needed, as President Obama presented his diplomatic project with Iran last year as a fait accompli, accusing any detractors of courting war. Is it impolitic to suggest that neither Supreme Leader Ali Khamenei nor former president Rafsanjani would press their rival tendencies within the governing structure to the point of empowering other political forces and destabilizing the regime’s collective hold on power in Iran? Where has the case been made that clerical “reformers” will effect strategically significant change? Nevertheless, by underscoring reformist challenges to the conservative order and touting electoral “upsets,” policy experts are acknowledging differences within the regime, and tensions between government and governed in Iran. What direction and scenario should the United States wish to see unfold from here? With the U.S. presidency transitioning in 2017, a proper understanding of the Tehran regime’s challenges, priorities and choices is needed now as the predicate to a realistic, principled and forward-looking “post-JCPOA” Iran policy. Americans of a certain age are familiar with scenes reported from Iran since 1979, where crowds gathered to chant “Death to America”; news in recent years has signaled the existence of dissent against the status quo, manifested in the rise and suppression of the Green uprising during the June 2009 elections, and the popular demonstrations against election fraud that followed, during which twenty-six-year-old philosophy student Neda Agha-Soltan was shot to death in the streets of Tehran by regime enforcers. But the reality behind these and other political events merits closer examination. In a system where political authority is permanent and nonnegotiable, the narrative of both current and past events is vigilantly managed by the rulers, as an essential tool of regime survival. What with Foreign Minister Zarif’s artful appeals to Western opinion in which he proclaims Iran’s peaceful intent and devotion to international law, and laments its unfair victimization by “threats, sanctions and demonization” by the United States in particular, one can only imagine what effect thirty-seven years of managed media have had on the population, the penetration of internet and satellite television notwithstanding. In Iran today, where the loyalty of aspirants to political office is closely monitored and overt dissent is severely punished, there is no credible measurement of the population’s true level of attachment to, or desire to be rid of, the constitutional caliphate fashioned in 1979 by Ayatollah Khomeini. Khomeini’s fusing of politics and religion via a new constitution codifying a “guardianship of the Islamic jurist” (velayat-e faqih) drew upon the religious devotion of Iran’s Muslims as the basis for his exercise of temporal power. For many Iranians at the time, Muslims included, religious dictatorship was a far cry from the participatory democracy they had anticipated after enduring the excesses of the shah. President Obama, reflecting a view common among analysts and journalists in America, has made imprecise reference to “the theocrats who overthrew the Shah.” The reality is that in the late 1970s the shah lost his mandate with many segments of the Iranian population, and his departure sparked a dramatic outburst of electoral competition, even while Khomeini was requiring office seekers to accept his constitutional formula, elevating religious authority over all politics. As the incompatibility of democratic principles withvelayat-e faqih became increasingly evident, the regime was, as Professor Abrahamian described it, “clearly. . . losing control in the streets.” What Iranians today know all too well, and Americans would profit by better understanding, is that the “theocrats” secured control of Iran not by bringing down the shah, but by bringing down the revolution. It is not the only historical misperception that has stood uncorrected. Speculation has surrounded the Obama administration’s Iran diplomacy that some kind of gesture by the United States—if not an outright apology, then an acknowledgement of past mistakes—would be extended as atonement for the CIA coup that deposed nationalist Prime Minister Mohammad Mossadegh in 1953. Indeed, Tehran has repeatedly demanded it. Yet, for historical justice to be served, a representative of the supreme leader would need to affix his signature to any such mea culpa alongside that of the president’s representative, reflecting the fact that the leading clerics at the time, including Khomeini’s mentor Ayatollah Abol-Ghasem Kashani, openly colluded with the Pahlavi dynasty and backed the ouster of Mossadegh. Kashani later pronounced Mossadegh guilty of betraying the jihad, and said he deserved the death penalty. Khomeini himself expressed satisfaction with Mossadegh’s downfall. Here again, the clerics have airbrushed their place in Iran’s turbulent political evolution for the West’s edification. June 1981—a cataclysmic event in Iran’s modern political history, second only perhaps to the shah’s demise—is relevant to understanding why the clerics responded with deadly force to the challenge of the Green uprising and the return of citizens to the streets en masse in 2009, demanding democratic accountability. Nor was the closed (and rigged) electoral process the only longstanding source of disaffection: Khomeini’s fundamentalist forces early on had targeted Iran’s universities with their “cultural revolution” to suppress mainly leftist critics, whose appeal among students and intellectuals further highlighted their lack of political legitimacy. Despite their comprehensive efforts to silence intellectual dissent, the torch of antiauthoritarian resistance carried through the 1980s to the next generation, resurfacing in public protests during July of 1999. People took to the streets after regime forces closed a student paper and violently attacked a dormitory at Tehran University, reportedly throwing students from windows. Fear of the “street,” consequently, was almost certainly a central consideration behind Iran’s costly (and continuing) intervention in Syria after pro-democracy Arab Spring demonstrations first arose there in 2011. More than any other partisan in the Syria conflict, Iran is credited with keeping a minority secular dictatorship in power, in defiance of President Obama’s vow that Bashar al-Assad must go, a determined if ill-equipped Syrian resistance, and UN-backed efforts to foster a national reconciliation process entailing a transition to new leadership. Similarly in Iraq, the Quds Force’s active direction of client Shia parties and militias, reported to be “carrying out kidnappings and murders and restricting the movement of Sunni Arab civilians,” has impeded that country’s efforts toward a functioning multiethnic constitutional system, and further imperiled Iraq’s fragile national unity. Islamic State may be a concern to Iran, but successful, multiethnic constitutional republics replacing the Baathist dictatorships in Syria and Iraq would be a much greater concern. For Tehran, the potential that an eastward-spreading Arab Spring could ignite a new Persian Spring was, and remains, a constant danger to the Islamic Republic’s grip on the reins of power, to be prevented at all costs. The deficit of legitimacy underlying the mullahs’ claim to power remains a blind spot in Washington’s collective understanding of the Iranian revolution, overlooked in the wake of the hostage crisis. It may account for the absence of critical thinking to challenge, for example, the regime’s narrative of its eight-year war with Saddam Hussein’s Iraq, never questioning why Khomeini, after regaining by mid-1982 all the Iranian territory seized by Iraq in 1980, prosecuted the war for six more years, during which Iran suffered 90 percent of its casualties and depleted its economy. Just as the seizure of the U.S. embassy in 1979 had empowered the clerics against contending political forces, the war with Iraq provided the supreme leader with an emergency mandate to crush growing internal dissent, impose religious and cultural requirements, and appropriate all necessary resources to assure the regime’s primacy and control. While every Iranian schoolchild and adult throughout the 1980s was fed the jingoistic line justifying these extreme sacrifices, Khomeini’s role in perpetuating the war is by no means universally recalled by Iranians in a favorable light. A similar lack of skepticism has left U.S. policymakers with no insight as to why a hojatoleslam—a cleric with religious status well below others at the time—belatedly became Khomeini’s chosen successor as supreme leader rather than the broadly respected Grand Ayatollah Hossein Ali Montazeri; no benign explanation as to why Iran would choose to pursue major nuclear infrastructure investments instead of far more accessible and cost-effective energy options, given its meager national uranium supplies; and no reflection on whether considerations other than sanctions-induced financial duress may have led Iran to the P5+1 negotiating table. Similarly, one saw no speculation in Washington that factors other than personal legal transgressions could have lain behind the arrest and imprisonment of the Washington Post’s correspondent Jason Rezaian—or curiosity about what the regime hoped to hide by deterring Western correspondents from seeking visas to report from Iran at that time. A clue may be found in the emerging story of another U.S. hostage, former CIA contractor Robert Levinson (still held by Iran), whom the Iranians reportedly offered via the French government in 2011 to release in exchange for conclusions, in a pending IAEA report, that Iran’s nuclear program was “peaceful” in nature. This credulous U.S. approach to Iranian affairs has not been helped by what might delicately be termed self-censorship on the part of Western correspondents and media companies, who know they would be shut out of Iran if their reporting sufficiently displeased the regime. For too long, U.S. policy has reacted to Iranian government actions and words without a credible functional understanding of the nature of this important international actor. During the regime’s formative years, the man who would in 1989 succeed Khomeini as supreme leader, Ali Khamenei, worked in partnership with Rafsanjani to implement Khomeini’s doctrine of bast (expansion) and hefz (preservation), the two facets assuring continuity of the Islamic revolution. Their work was at the center of Khomeini’s velayat-e faqih project. While both figures are today identified with conflicting political tendencies and loyalists, the larger reality is that bast and hefz remain core tenets of the Islamic Republic of Iran. What Washington describes in straight factual terms—destabilization of neighboring countries, propping up a dictator in Damascus guilty of grave crimes against his country, arming extremist nonstate actors, fomenting sectarian warfare that undermines Iraq’s fragile hopes for rights-based governance—the clerics in Tehran call bast. The revolution, said Khomeini, requires energetic efforts to advance Tehran’s agenda well beyond the country’s borders. Similarly, the surreptitious and aggressive buildup at home of Iran’s uranium enrichment capacity, and associated “possible military dimensions” of its nuclear program, combined with widely condemned and worsening human rights abuses, restrictions on journalists, monitoring and propaganda imposed within the information space, and seizure of control over much of the functioning economy—all these and other domestic measures fulfill the doctrine of hefz. To stay in power, the regime must monopolize the levers of power within the country. As two of the original officers of the velayat-e faqih operation from the outset of Ayatollah Khomeini’s tenure, Ali Khamenei and Hashemi Rafsanjani understood, as few others did, the dynamic nature of the revolutionary enterprise. Both recognized that the Islamic Republic would not long survive without continually demanding respect and pursuing influence externally while requiring sacrifice and enforcing subservience internally. In 1989, after Ali Khamenei succeeded Khomeini, Rafsanjani worked in partnership with the new supreme leader to enhance the authority of the office as compensation for his lack of religious and political stature and charisma. The velayat-e faqih has always operated on two fronts. Domestically, it maintains a focus on image-building propaganda for the leader of the revolution, ever promoting the stature of its “heroic” godfather, Ayatollah Khomeini. Propaganda is used to rally and unify the Revolutionary Guards, mobilize paramilitary forces such as the Basij for public crackdowns, and organize the religious sector across the nation for Friday prayers in accordance with prescribed policy themes. Internationally, the office sustains the narrative of leadership over Shia Muslims around the region, and the Islamic world generally. Khomeini’s mantra that the new Islamic republic would conquer “Quds via Karbala” makes clear that he set out to create a dominion of influence unbounded by Iran’s borders. As the embodiment of the Twelfth Imam succeeding the Prophet Muhammad, Iran’s Supreme Leader poses a challenge to the Sunni world, asserting its own claim to Islam’s most holy sites in defiance of the Saudi king (“Guardian of the Two Holy Mosques” at Mecca and Medina) and the Hashemites of Jordan, who trace their lineage to the Prophet and are considered the overseers of the Al Aqsa mosque in Quds (Jerusalem), Islam’s third holiest site. In both its internal and external dimensions, the revolutionary project spawned by Khomeini has confounded Western efforts to understand it, and thus to engage diplomatically with confidence in a predictable outcome. Why did the clerical regime from its earliest years, consumed with extinguishing democratic impulses at home and repelling Iraq’s incursions on their shared border, repeatedly target U.S. and European forces, embassies, hostages and airline passengers, starting in Lebanon? What was the purpose of arming and supporting proxy nonstate militias abroad and staging spectacular acts of terror as far afield as Argentina? While Iran’s abuse of sovereign privilege—running terror operations under the cover of diplomatic secrecy and immunity in such capitals as Ankara, Damascus, Bonn and Buenos Aires—has long branded it a serial violator of international law and norms, these hostile acts abroad are better understood for their intended effect on regime cohesion and the loyalty of its footsoldiers, as manifestations of Khomeini’s bast doctrine, his unique theory of empowerment through religious extremism, pursued at the direct expense of the Westphalian system. The one goal the international community has sought in all its dealings with Tehran—a readiness to adhere to accepted norms of state conduct, including respect for universally recognized rights at home—is the very condition that the Islamic Republic of Iran could least tolerate. The acceleration of both bast and hefz since 2013 under President Rouhani, at the same time that Iran was garnering international goodwill, relief from economic sanctions and legal recognition of its nuclear rights at the negotiating table, may have been a response to popular discontent inside Iran. It was not, however, a move toward any version of reform that would comport with American principles or ideals. With the exceptions of Syria’s secular dictatorship and some Shia factions in Iraq, states surrounding Iran continue to defy and resist Tehran’s pretensions of religious hegemony. Tehran’s overt attempts to influence Shia populations within Arab Gulf states have only served to poison relations with those governments, which to date have refrained from reciprocal meddling on behalf of 18 million Sunni Iranians, to whom the mullahs have denied a single mosque. Influential Shia figures, including Ayatollah Sistani in Iraq, refuse to accept the system of velayat-e faqih or endorse Khamenei’s leadership among Muslims. Iran’s funding, training and sponsoring of warring factions in Iraq, Syria, Yemen and Afghanistan could as rightfully be assessed a losing as a winning effort by the regime’s own metrics. 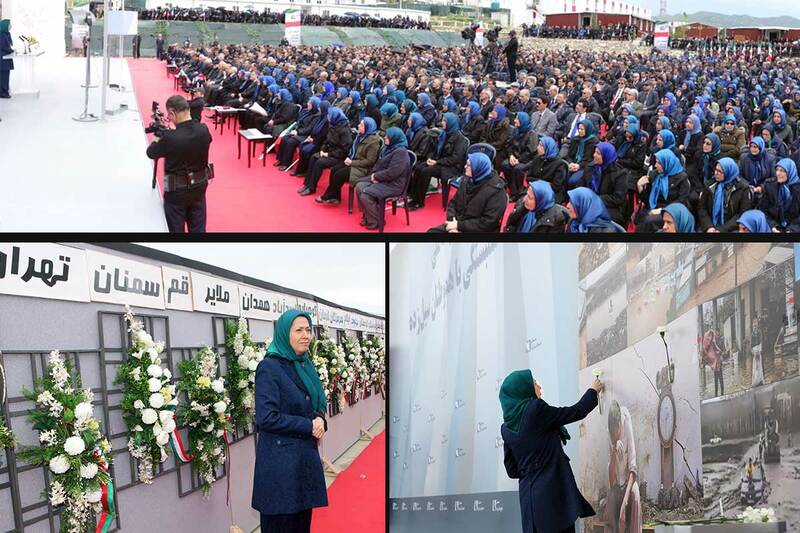 The costs of these campaigns, particularly casualties suffered by the IRGC and the Quds Force, which have struggled to replenish their ranks and their leadership cadres from today’s young generation, would likely prove unsustainable over time. Recent losses reportedly suffered by the IRGC along the Iran-Iraq border, and claims by the Democratic Party of Iranian Kurdistan and the Kurdistan Freedom Party that they have recently resumed “armed resistance” against the revolutionary republic, reinforce perceptions that the momentum of the ambitious crusade launched thirty-seven years ago by Khomeini is now in retreat. The supreme leader’s office has therefore viewed the nuclear weapons program as a game-changing substitute for Tehran’s unproductive paramilitary efforts—hence Khamenei’s denial (without further explanation) that the JCPOA leaves Iran stripped of nuclear deterrence. In recent years his office has lauded the “jihad spirit” of Iran’s nuclear scientists in their drive to stand up to foreign powers “like a lion.” He earlier declared the program an essential aspect of Iran’s “national identity” and “dignity,” all part of a narrative intended to compensate for, and obscure, Khamenei’s diminishing power at home and in the region. Recall that the nuclear program began during Rafsanjani’s presidency; it was institutionalized during Khatami’s time, and expanded to a multitrack program during Ahmadinejad’s presidency. 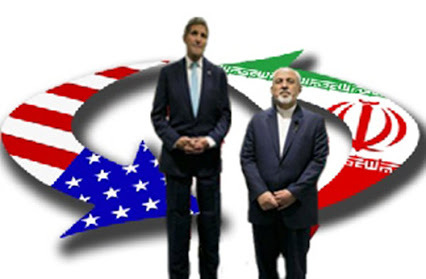 Whatever Washington analysts may believe about the June 2013 elections, the clerics made clear months beforehand that they would “engineer” the electoral process to succeed Ahmadinejad. Khamenei’s expectation of his one-time nuclear negotiator, Hassan Rouhani, was that he would deliver the program despite all the external and internal pressures. Rouhani’s pursuit of a nuclear deal entailing sanctions relief, far from representing a policy split from Khamenei’s embrace of the nuclear program, was done with the supreme leader’s full support. While the P5+1 secured arrangements to inhibit and detect any near-term nuclear weapons breakout efforts by Iran, the many statements by Khamenei are consistent with the conclusion that Rouhani’s diplomatic approach was deemed more likely to enable the Islamic Republic to maintain the posture of nuclear deterrence than a policy of escalating confrontation and defiance of the West. Two years of high diplomacy—extended repeatedly without complaint from any side, despite the absence of agreement—by the regime, sharing the global spotlight with the world’s leading powers, rehabilitated Iran’s image after a period of growing isolation, threats of military confrontation and, yes, economic pain from targeted sanctions, falling oil prices and a weakening currency in 2012. Such considerations lay behind Iran’s success in shaping the JCPOA as a nonbinding agreement in which the language and process to enable the “snap-back” of sanctions is convoluted—the term never appears—and thus hard to portray within Iran as a concession. At the same time he was calling publicly for “heroic flexibility” in Iran’s foreign policy, Khamenei clearly intended that Rouhani and Iran’s negotiators secure the maximum flexibility to continue the militarization of the nuclear program, including ballistic missile development, as was seen with the March 2016 missile tests. While the United States responded by sanctioning the IRGC Aerospace and Missile Force, and Secretary Kerry suggested a new arrangement with Iran to address concerns about the missile tests, Foreign Minister Zarif called his complaints “baseless”; Defense Minister Hossein Dehghan called them “nonsense.” The commander of the missile force claimed that the U.S. government had quietly urged Iran not to publicize its missile tests, presumably to avoid complicating the larger relationship. Regime Preservation or Change from Within? If Iran’s strategic behavior, in Under Secretary Shannon’s parlance, is not fundamentally different under either hard-line or “reformist” management, what to make of the factional differences within the regime? Khamenei’s focus has been on hefz and the sustainment of Iran’s nuclear and conventional military modernization programs. For self-proclaimed reformers, including Rouhani and Rafsanjani, the priority order is the reverse. Their view is that by easing international sanctions they can better defuse the public’s push for meaningful political reform and thereby preserve the system of velayat-e faqih. Rouhani, like Khatami before him, has pledged domestic reform yet presided over repression. Even his explicit 2013 pledge, to release from house arrest the leaders of the Green uprising and all who were imprisoned following the 2009 protests within one year, has gone unfulfilled years later. While the regime’s internal fissures may inspire hope in the West for positive change, the evidence for that is lacking. The perennial perception in the U.S. policy community that “reformist” equates to true moderation is belied by, for example, “reformist” Mohammad Khatami’s role as minister of Islamic Culture and Guidance early in the Iran-Iraq War, when he generated propaganda to recruit children to sacrifice themselves by crossing minefields ahead of military forces. An estimated forty thousand died. Despite worldwide condemnation of this practice, Khatami as recently as 2007 lauded the wartime role of youth in “the proud years of the Sacred Defense.” The use of child soldiers by Tehran has now apparently been revived by his “reformist” successor Hassan Rouhani. For all the talk about reform and betterment of the people’s lot, in Iran today one finds no equivalent to glasnost or perestroika, no clerical Deng Xiaoping ready to strike a grand bargain freeing the people economically and socially in return for continued political subservience to the supreme leader. The relevant fault line within Iran’s leadership, for many years now, has been a difference over how best to carry forward Khomeini’s Islamic republic, not how to end it. Differences in regime priorities manifested themselves in the recent parliamentary elections, and more factionalism and clashing rhetoric is predictable in the political arena. Still, as competition over priorities and tactics to preserve velayat-e faqih has become personal—and public—for both sides over the years, and some individuals have shifted alliances and rebranded themselves, the roster of leading players has remained strikingly consistent. While many have moved seamlessly between so-called reformist and conservative patronage, the driving motive seems less to be ideology than competition for resources and leverage. Even such proven supporters of velayat-e faqih as the five Larijani brothers, who rose to positions of influence within the parliament, Guardian Council, judiciary, broadcasting (IRIB) and foreign ministry, are viewed with suspicion by Khamenei for this very reason. Khamenei has survived by surrounding himself with a small and shrinking circle of trusted advisors, including his own son Mojtaba, who leads the Basij and oversees all his financial affairs operating beyond the reach of sanctions. Some have speculated that Mojtaba is being groomed to become his father’s successor, suggesting Khamenei’s misgivings about Khomeini’s own mechanism for leadership transition. Ali Akbar Velayati, serving as his foreign-affairs advisor, once served under Prime Minister Mir Hossein Mousavi (the now-detained leader of the Green uprising) and Hashemi Rafsanjani. Yahya Safavi, head of the IRGC, serves as his special advisor in regional affairs and has recently touted the “alliance” of Iran, Russia, Iraq, Syria and Hezbollah. Mojtaba Zolnour also serves as his representative in the IRGC, and has recently claimed that even if Iran were to give up its nuclear program, it would not weaken “this country’s determination to destroy Israel.” Mohammad Salimi, formerly defense minister in the cabinet of Mir Hossein Mousavi, now serves as his commander of the Iranian Army. As much as regime figures may jostle for primacy and influence over Iranian policy, all are charter members of an enterprise whose overriding mission is their collective survival in power. What recent trends reveal is that the supreme leader’s diminishing power is accompanied by, and likely further eroded by, the more open rivalries at play in Tehran. How to Reform the Islamic Republic? It may seem exhausting for the U.S. foreign-policy establishment, having devoted so much effort to closing off Iran’s “pathways to the bomb,” to be expected now to address an array of additional concerns about Iran, from political disenfranchisement to human-rights abuses, suppression of women and minorities, destabilization of neighboring countries, and support for terrorism. The list is long, and Washington’s record of tempering Tehran’s malignant behavior offers little grounds for optimism. What makes these concerns more pertinent today is not the closing off of Iran’s illicit pathways to the bomb under the JCPOA, but the opening up of a new pathway to the bomb courtesy of the JCPOA itself: the right granted to Iran to become an internationally recognized nuclear power when the agreement’s restraints expire. Secretary Kerry emphasizes how far into the future that time will be. Can the United States be certain that the regime in Tehran will have “reformed” by then? And—crucially—what changes from today’s Iran would constitute “reform”? If one were to poll experts on how the United States should measure reform in Iran, a consensus would likely be elusive. Ending the loyalty screening and disqualification by the Guardian Council of candidates for office would be an obvious metric; yet it has been more than two decades since the percentage of registered candidates ultimately permitted to run for president has exceeded 2 percent. Even with Rafsanjani’s two electoral victories, in 1989 and 1993, more than 96 percent of registered candidates were disqualified in advance. Certainly a sharp reduction, and preferably the end, of executions in Iran would herald reform; yet here again, one has to question the likelihood of meaningful change. The State Department’s 2015 annual human rights report, released in April 2016, cites a long list of human rights abuses in Iran, noting that “Impunity remained pervasive throughout all levels of the government and security forces.” President Rouhani, upon being elected in 2013, nominated as his justice minister Mostafa Pour Mohammadi, a man personally implicated in the 1988 extrajudicial executions of as many as thirty thousand jailed dissidents. This was a crime “of greater infamy,” according to British-Australian human rights lawyer Geoffrey Robertson, whose 2009 inquiry brought the full story to light, than the World War II Japanese death marches or the 1995 Srebrenica genocide. While a serious debate is needed on U.S. policy toward this troublesome, and troubled, regime, there is one act that more than any other would signal to the West, Iran’s neighbors and above all its 79 million citizens that reform is at hand. Iran’s rulers need to face the inescapable truth that in their quest to be at once a religious caliphate and a sovereign country, they have failed in both roles. By removing from the constitution the writ of divine power—velayat-e faqih—that has corrupted both politics and religion in Iran with immeasurable human costs, the clerics can focus on repairing their religious reputation and return the revolution to its rightful owners, the Iranian people. The world will reward Iran for a national effort to pursue reconciliation without recrimination, a social contract enabling freely elected leaders to reflect the goodness of a great people. In time, an Iran so reformed will recover, and assume a position of honor and responsibility among nations. Ambassador Lincoln Bloomfield Jr., a former U.S. defense and foreign policy official now serving as Chairman of the Stimson Center in Washington, has written and testified about the inaccuracies of narratives emanating from the regime in Iran. Dr. Ramesh Sepehrrad is a ranking executive for a major American technology company and a Scholar Practitioner at the George Mason University School of Conflict Analysis and Resolution. 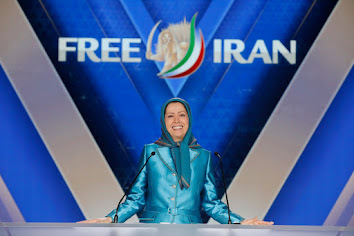 Her parents and sister were arrested by the fundamentalist regime in Iran during the 1980s for helping to publish pro-democracy literature; detained at the age of fourteen, her sister was kept in prison for two years.